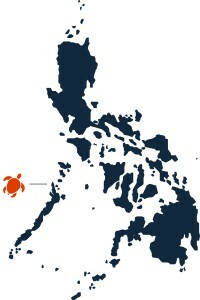 The most popular diving spots in the area are located in the Bacuit Bay, located west of El Nido. At the resort we can arrange diving trips for you in the bay. There are more than 30 dive sites scattered around 45 islands and islets. You can find 45 species of hard corals, over 800 species of fish, 5 species of sea turtles, 5 species of marine mammals, and uncountable numbers of marine invertebrates. Diving in El Nido is good for all levels of experience. 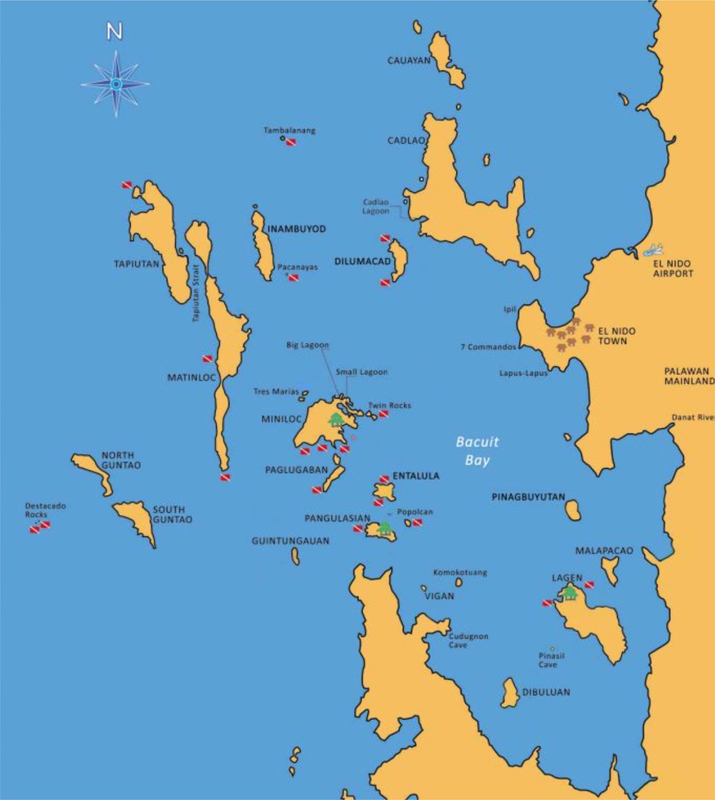 Bacuit Bay offers dive sites for Open Water Course students as well as sites for divers with many years of experience. 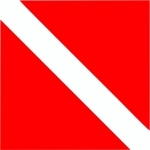 Depths of the dive sites vary between 10 meter and 40 meters. Besides that there are several shallow areas to do a Discover Scuba Diving for the very first time and still have the luxury to see beautiful corals, fish and even a turtle if you’re lucky. The currents in El Nido are usually caused by tidal currents which are very slight to moderate depending on tidal fluctuations. The currents are very manageable and divers can easily swim back to the boat. Divers have seen whale sharks, manta rays and dugongs, but these sightings are rare and seasonal. Please don’t expect to see these large species and consider yourself lucky if you are rewarded with a visit of one of these wonderful creatures.